Is an Eco Friendly, biodegradable bitumen/tar remover. For use in the Industrial industry, and sea oil spills. 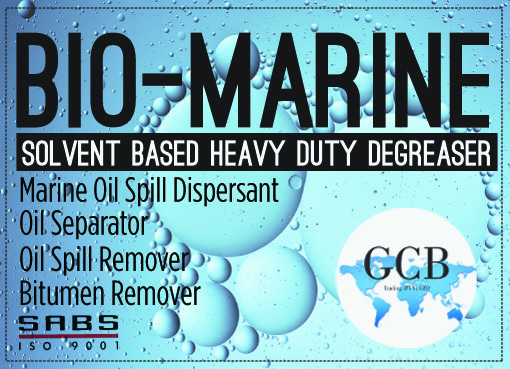 Bio-Marine is classified as a type 1 oil spill dispersant. The product is applied particularly in areas of environmental concern or conditions where it may come into direct contact with the environment that is natural water streams, vegetation and soil. The product is suitable for cleaning hard surfaces and will remove most type of lubricating grease. Bio-Marine can be used in the following areas.